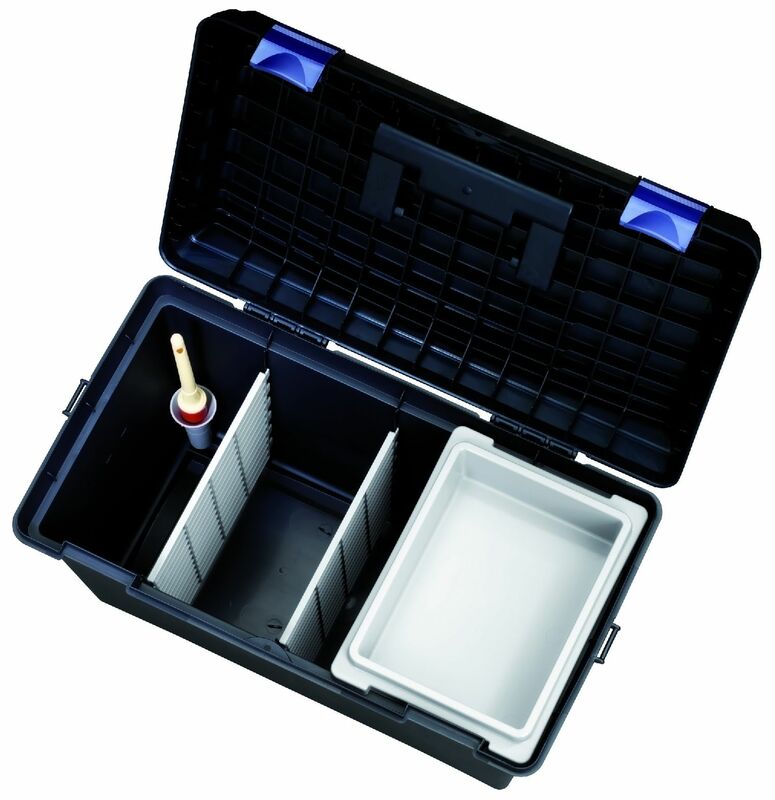 A high specification polypropylene grooming box with one movable tray and two internal partitions. Hoof oil brush holder keeps everything nice and clean. Dimensions (mm): 515x287x338(h). Below are some recent questions we've received regarding Plastica Panaro Tack Box Extra Large, including answers from our team. how big is this in cm please ? ?